Everyone deals with acne at some time throughout life. Whether it's on the lighter or heavier end of the spectrum, the symptoms of acne can be embarrassing and sometimes even painful. It may be instinctual to scratch at and try to "pop" pimples, but this may lead to a decline in skin health. 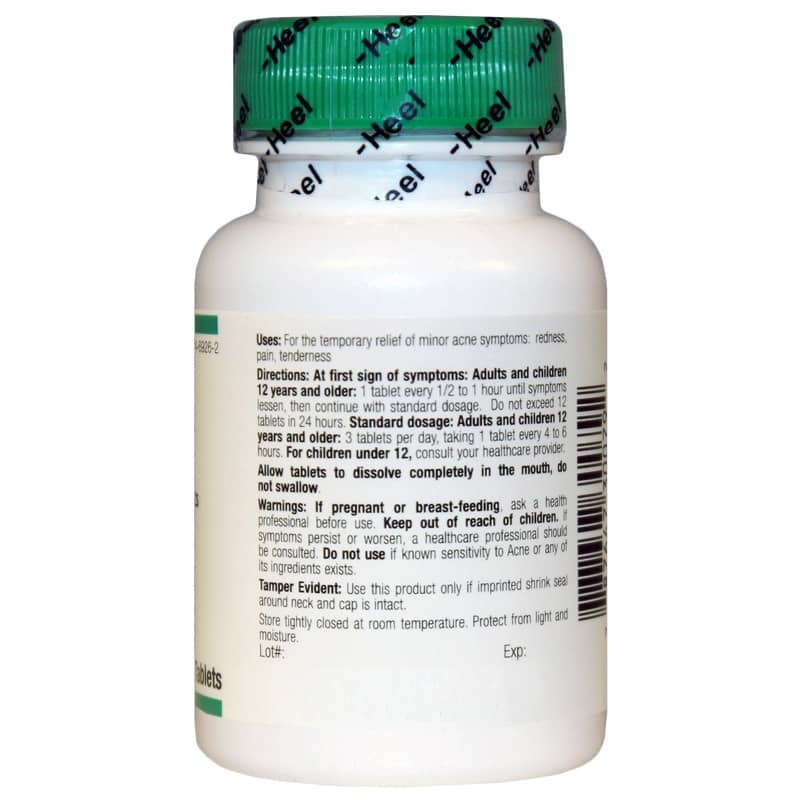 Rather than risk infections, skin blemishes, or scarring, why not try Acne tablets from Heel? 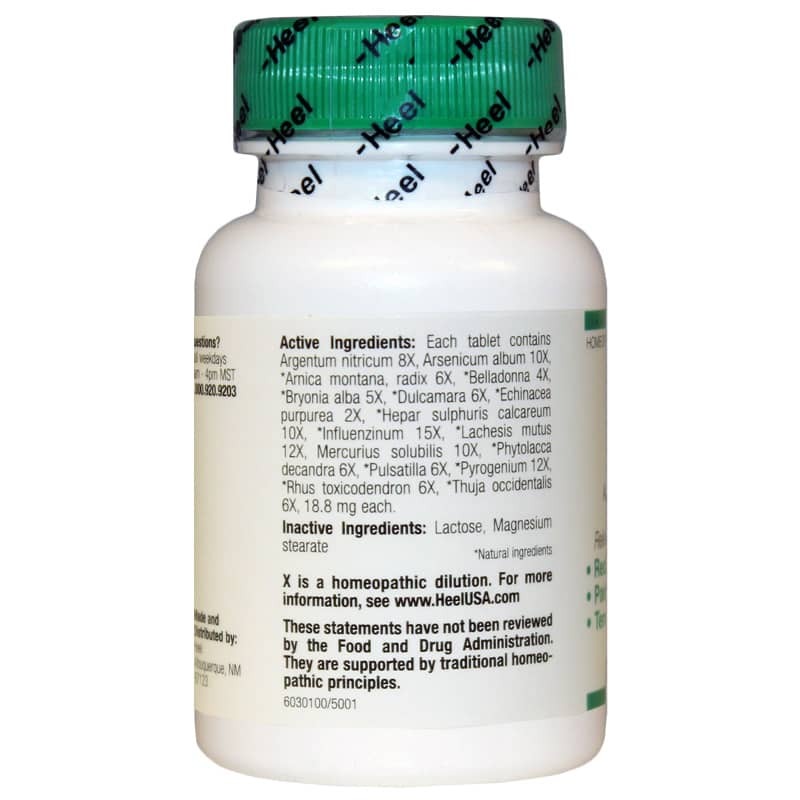 Formulated with 16 different homeopathic ingredients, including echinacea, dulcamara, and pyrogenium. Many regular acne treatments contain harsh chemical additives like salicylic acid that may do more harm to your skin than good, including drying your skin and increasing redness, in some cases. Choose a natural, healthy, and homeopathic solution to get the relief you've been looking for. Clear skin can be a possibility. 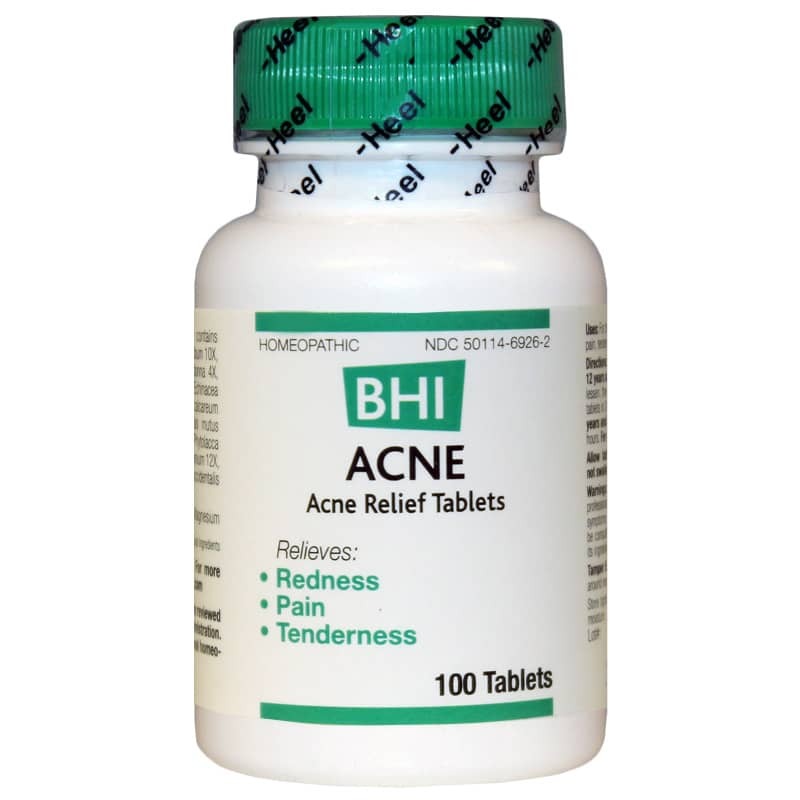 Give Acne tablets from Heel a try today for acne relief and healthy-looking skin. Children under 12: Consult your healthcare provider. Do not give to children under 12 years of age. If you are pregnant or nursing, please consult your healthcare professional before using this product. Keep out of the reach of children. Do not use if known sensitivity to Acne or any of its ingredients exists. I've been doing a heavy metal detox prescribed by my Dr. I'm into the second month and have two more months to go. It's taken a toll and my face was breaking out like crazy! A typical side effect, but it was out of control. The Dr didn't have any natural options nor did the compounding pharmacy. Desperate I started a search online and saw this product. I never thought it would really work. I noticed an immediate improvement. I couldn't believe it. It was so fast I didn't think it could actually be these capsules making the difference, but a new bump appeared so I upped the number of capsules as suggested and the next day it was completely gone! I will never be w/o this stuff! I'm ordering again. If you or a child suffer with breakouts try this product!